RVs aren't just for the retirees anymore. Here's how to play a surge in millennial interest in experiential goods. Towable trailers are back en vogue. That's great news for Winnebago Industries Inc. (WGO - Get Report) . Although the recreational vehicle manufacturer doesn't own Thor Industries Inc.'s (THO - Get Report) Airstream, the industry leader, it recently acquired towable recreational vehicle maker Grand Design for about $521 million. Grand Design specializes in the kinds of cool-looking RVs that the younger set has started to favor in their desire for experiences. A 2016 study from the Harris Group found 72% of millennials prefer to spend money on experiences, such as camping trips, over things like clothes. So, it looks like Winnebago made a well-timed acquisition. With RVs coming back into style, Winnebago could soar even higher than the 53% it's gained since the start of the year according to TheStreet's Jim Cramer. "The millennials like a tow more than they like the big bus, and they're [Winnebago] finally where they should be," Cramer said of Winnebago at TheStreet's Financial Success Strategies teach in on Oct. 28. 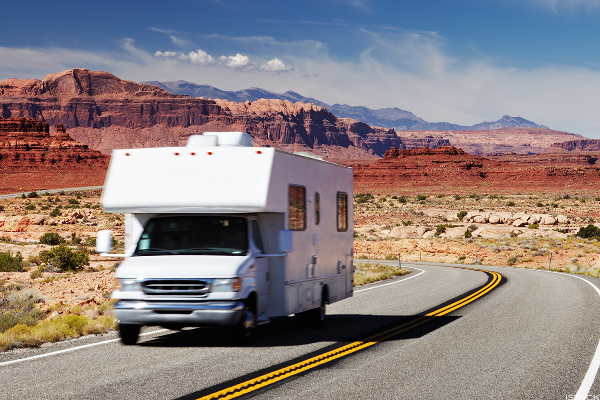 Millennials have started buying more RVs, sending sales up 25% since the start of the year, according to Fundstrat analyst Thomas Lee. The 538,000 RVs sold so far since January have broken records, and millennials account for nearly half of those sales. As the now largest generation in the U.S., millennials have driven a lot of changes in the way consumer companies operate. While some have lost out or filed bankruptcy, Winnebago has adapted well, according to Cramer. Winnebago CEO Michael Happe has long worked to transition the Iowa-based company to better compete in a changing world. The newer trailers from Winnebago, and even from Thor Industries, offer far more than just a bed and a truck hitch. As Cramer put it, they're equipped with Apple Inc. (AAPL - Get Report) iPhone jacks, contemporary design and sleek furnishings. Winnebago's newer lineup of motorhomes carries a bigger price tag than older models as a result, something that played a factor in better than expected third quarter earnings. "I'm not daunted by the fact that it's up 47%, because in this kind of market, like in the nineties, if it's not up 47% by now, it's not gonna go up," Cramer added. Winnebago shares have skyrocketed since the start of the year. Cramer offered up a dose of wisdom. "Because remember what people want, they want stocks that are what the big institutions want. They want stocks that are up, so that they can go up more," Cramer said. One of those looks to be Winnebago.